The auditorium at Catholic University of Eastern Africa on June 11, 2016, was filled with more than 150 senior students, recent graduates and alums from St. Aloysius Secondary School in Nairobi, and faculty and students from Catholic University of Eastern Africa(CUEA) and from Tangaza University College. This enthusiastic crowd came together on this day to celebrate films made by the participants in the Film for Good program. This initiative is part of the Loyola University Chicago School of Communication (SOC) Africa Project in collaboration with CUEA. Africa Circle of Hope Foundation is one of the major sponsors of Film for Good. 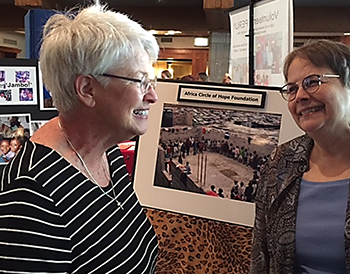 The coordinator for the 2016 SOC Africa Project is Dr. Patricia Felkins, Co-Founder and Vice President of Africa Circle of Hope. This day of celebration, culminating the two-week workshop, included a panel of media professionals sharing their work experience and career resources in the morning session. In the afternoon the films made in the workshop were screened followed by a discussion with the young filmmakers and presentation of certificates to those who completed the media training. The two-week workshop provided an opportunity for graduates from St. Aloysius interested in media careers to learn about scriptwriting, film production and editing. 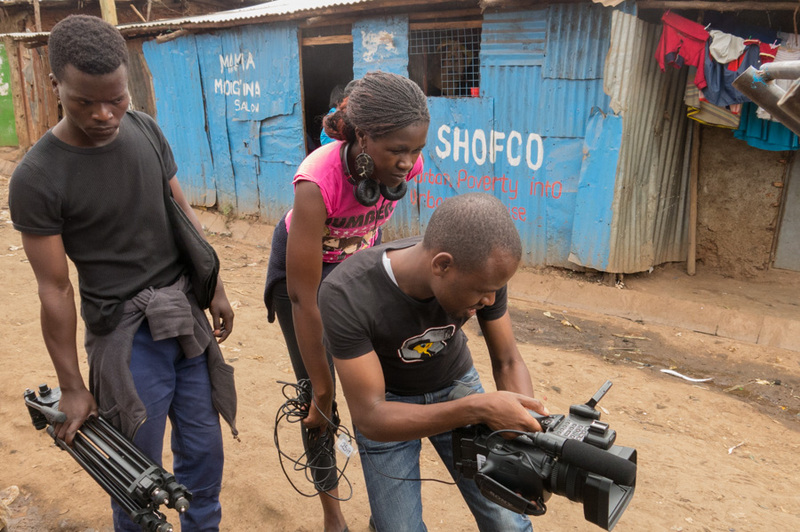 After the classroom training, the teams went into the Kibera slums to film their stories. Aaron Greer, Director of the Film and Digital Media Program at Loyola University Chicago, was the workshop leader. Jamason Chen, SOC Media Manager provided technology support and set up a media production lab for CUEA. The Film for Good workshop participants were the first to use this new lab. Professional video cameras and computers with editing software were donated to CUEA by Loyola University Chicago and the School of Communication. The objectives of Film for Good point toward continuing educational development, establishing practical media applications and increasing available resources. To teach basic filmmaking skills and give young people experience as part of a production team to make a short film that reflects their experience, creative ideas or perspectives on social justice issues. To promote film as a platform for communication and development, a stage for creative expression, and a powerful educational resource for students, faculty and community. 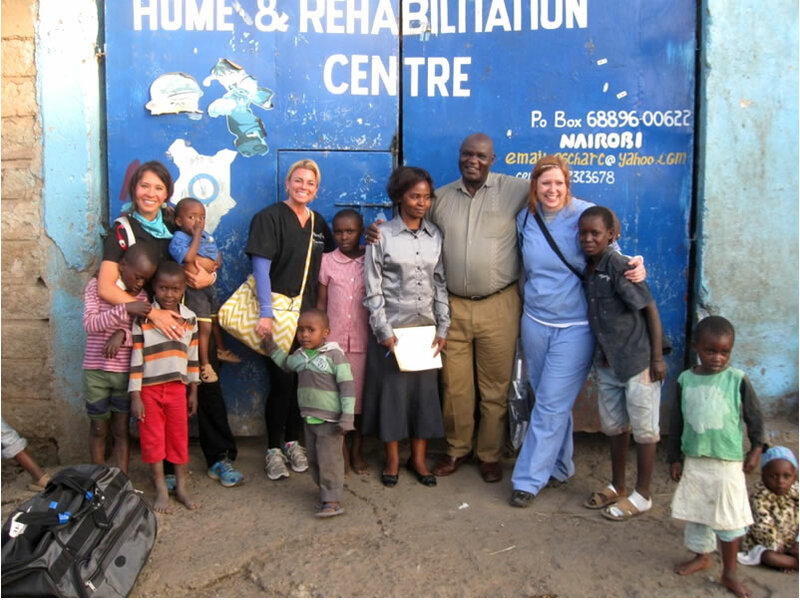 To build relationships and develop opportunities for continuing collaboration and communication between faculty and students in Kenya and U.S.
To develop a support network with online resources, media facilities and mentoring to help students and recent graduates practice communication and media skills, explore available career opportunities and find jobs. Film for Good 2016 created a strong foundation for accomplishing these objectives. Each of the four teams from the workshop made informative and engaging short films dealing with a specific theme: gambling and betting, innovation and entrepreneurship, girl child empowerment, and youth unemployment. These films were applauded by the audience and will be entered in several film festivals in the coming months. Another highlight of the event was the powerful presentations by young Kenyan poets coordinated by Kennet B, who has worked with Africa Circle of Hope poetry workshops in the Nairobi slums. These performances also inspired Chris O`Hare, an international filmmaker and moderator of the professional career panel, to use some of the workshop participants to produce a film featuring five of the poets in the days following the workshop. Other films in planning stages include a multidisciplinary faculty/student group focusing on collaborative efforts to clean up the polluted Nairobi River. The team of 16 young people who were trained in the workshop want to establish a nonprofit or community-based organization to continue working together on creative film productions. 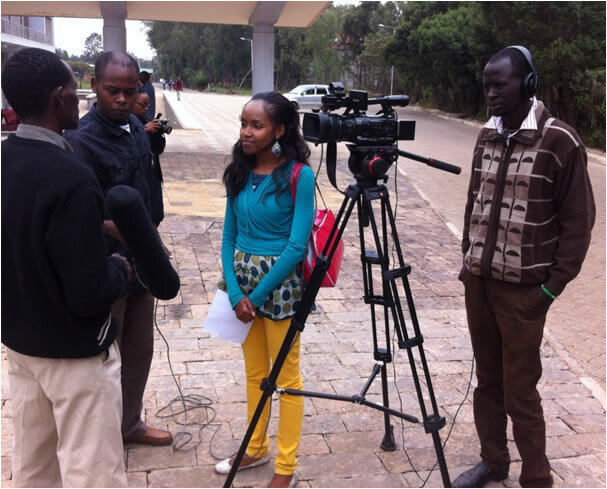 They will also be available to help faculty at CUEA as crew members for making educational films. Film for Good was a genuine success on many levels. Catholic University of Eastern Africa now has a professional media production lab that will be available to students, faculty and community members. Key support staff have training in using the equipment and software. Other films are in production or planning. Workshop participants and other students and graduates now have a support network that includes the professionals on the career panel who offered to provide mentoring and career resources. CUEA faculty in E-Learning, Development Studies, Justice and Peace, Literature, and Entrepreneurship are ready to explore the opportunities that the film training and the media production lab create for them and their students. Film for Good continues to generate creative work and innovative educational projects. Africa Circle of Hope is proud to support this unique collaborative educational initiative. As much as 50% of the Kenyan population is under the age of 18. Most of these young people are in primary or secondary school. In 2003 the government mandated free primary education and in 2008 this was extended to secondary education in public schools. Boarding school fees are not included, nor are uniforms, school supplies and other infrastructure expenses. At the end of Standard 8 primary school students are ranked based on comprehensive national exams administered over several days. Two weeks of strenuous standardized national exams are required on completion of secondary school Form 4. This is a stressful time for students since the results of these tests can determine their entire future, including which school they can attend and whether they can get a scholarship or some support for further education. Life is not easy for young people as they make their way into the world after graduation from secondary school. A recent Health Metrics and Evaluation study in Kenya cited not only the increased number of youth dying from HIV/Aids but also other risks including obesity, mental health disorders, high unemployment, and the risk of radicalization.� Add to this the challenges of poverty, bullying, peer pressure, discrimination, lack of skills training, and limited job opportunities. Many secondary school students may say that they want to be doctors, pilots, engineers, and teachers. Yet they lack the basic skills and financial support to accomplish their career goals. One of the greatest concerns of secondary school students is worrying about what they will do after graduation. They have big questions to answer: What do I want to do with my life? How can I find the funding or a sponsor so I can go to college or university? Is a professional school a better choice for me? How can I find a job? A special section in today's Daily Nation newspaper provides a “reality check” for young people related to employment. According to the article, Kenya’s unemployment rate is 40%, yet people age 15-34 constitute 70% of those who do not have jobs. Students are coming out of secondary school without the essential communication competencies, analytic ability, creative problem-solving and negotiation skills needed in business and industry. This is the subject of much discussion and debate. What can be done to prepare students in secondary school to develop a plan, make realistic decisions about their life and career and help them get the practical skills they need to find a job? Should they try to enroll in a technical school or a specialized training institute rather than a university? Could an apprenticeship or internship provide valuable experience? Would volunteering with a community service organization or nonprofit help young people gain some real-world skills? What entrepreneurial opportunities are in the informal Jua Kali sector? Africa Circle of Hope(ACOHF), which now sponsors 55 students with scholarships at Rubate Secondary School, will also be developing workshops and resource materials to start career planning and skill development that could begin in Form 2 and 3. 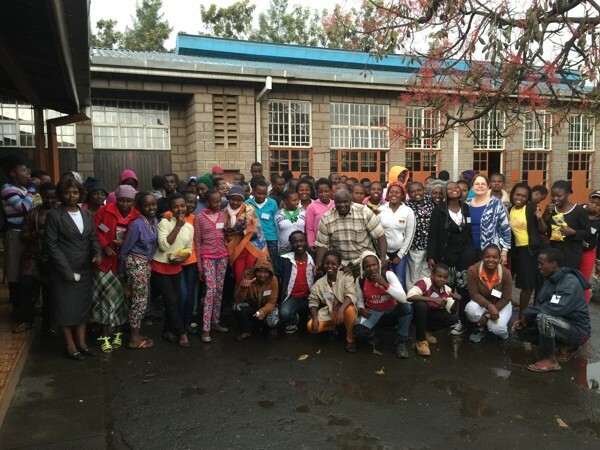 On April 29 ACOHF conducted a one-day workshop for 83 secondary school students in Form 1 through Form 4 from Rubate and other secondary schools attended by young people from Good Samaritan Children’s Home in Mathare. We are also collaborating with the MustardSeed Program, which is focused on helping graduates from St. Aloysius Secondary School in Kibera write resumes, get interviews and find jobs. We recognize the need to do more to assist students in making decisions and planning for the difficult transition from classroom to career. The major concerns of these secondary students are about what they do after graduation from Form 4. Many want to go to college or university, but for most that is only a dream as they may sit idle and discouraged trying to find a job or waiting for a sponsor. We know the urgent need for career planning and skill development as well as new options for graduates. The challenge is how can we best serve this need with limited funds and resources. Job training and work experience are critical to moving out of poverty, making a better life and contributing to the community. The youth of Kenya are a most valuable resource. The future is in their hands. These poems were written by youth in our writing project in the Kibera and Mathare slums. Kennedy Odongo, a Nairobi spoken-word poet, conducted the workshops and compiled a representative collection of the powerful poems by these talented young people. They tell their stories of life in the slums. There is sadness and pain but also great strength, wisdom, ingenuity, termination and faith. 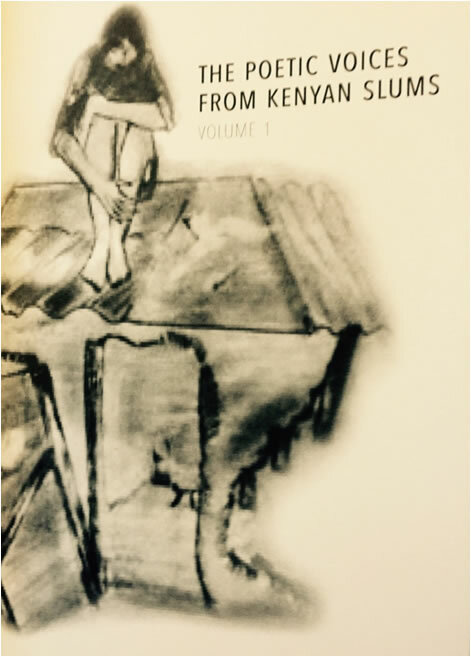 This book titled "Poetic Voices from the Nairobi Slums: Vol. I" is available from ACOHF. All proceeds from the sale of this publication will benefit the Orphans Education Fund. 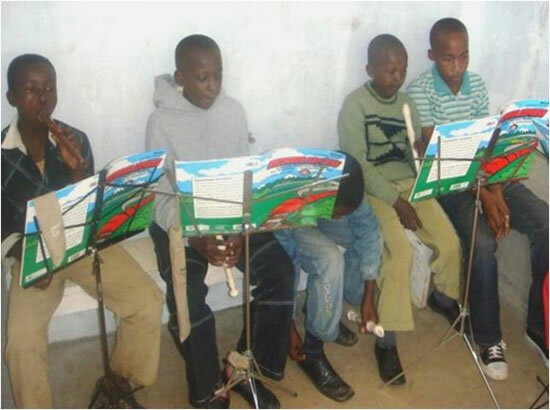 One of the major programs at Thiiri Center focuses on music training for individuals and groups. ACOHF worked with the Program Director at Thiiri to provide interactive skill workshops, one on drumming techniques and another on creative production, taught by professional musicians and award-winning performers from Nairobi. Both of these workshops support the development of the musical and artistic resources in this rural area. One of the workshop leaders also performed in several local schools. ACOHF was also the major sponsor for the launch of the Thiiri Center Concert series, which features young local talent in music, spoken word poetry, dance and drama. The audience at the initial Saturday afternoon concert included more than 300 students from area schools as well as other community members, local artists and musicians. We are working with Thiiri Center to establish a music and media production studio as a resource for young people in this rural area. This facility will also provide professional training and develop the media and communication skills of local youth for related job opportunities and creative entrepreneurship.